Giving primarily in Connecticut, the Allan Louis Loeb Foundation promotes the wellbeing—and the kind and humane treatment—of domestic animals and wildlife. Throughout his lifetime, Allan Louis Loeb’s deep love for animals was his North Star, guiding him to become a key figure in numerous local, state, and national civic organizations dedicated to the benefit of animals. 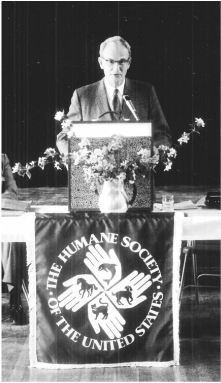 In 1996, when Allan died suddenly at the age of 80, his older brother, Lawrence Loeb (1911-2001), established the Loeb Foundation to honor Allan’s lifelong commitment to animal welfare. Making funding decisions once a year, the Loeb Foundation continues to honor Allan’s legacy by giving away $40,000-$45,000 annually to benefit animal welfare. Dan Cosgrove Animal Shelter, Branford, CT - Funding to build outside runs and porches for rescued animals. H.O.R.S.E of Connecticut, New Preston, CT - Funding to support horse rescue and provide blankets for horses. Greater New Haven Cat Project, New Haven, CT - Funding for cat rescue and spaying.